2) Don’t come off as a scammer. 3) Check the domain’s age and history if possible. 4) Understand your alternative options. A domain owner that has been around for more than a year or two has very likely received multiple offers to purchase their domain. If they own multiple domains, they may even receive unsolicited offers on a daily basis. You really need to keep this in mind because many domain owners are going to be predisposed to immediately dismiss you. They may just assume that you are some sort of confidence man or scammer. Generally speaking domain flippers and domain investors can be a very annoying group. Home flippers or even Multi Level Marketing salespeople have bad reputations but domain flippers can take it to entirely new levels. The reasons for this start with the fact that it is so easy to start with domains. Email solicitations offer an immediate methodology that can be constructed and sent out at little to no cost. Pretty much anyone with a computer and Internet connection can do it. Criminals, con artists and those who could at best be described as having best poor ethical standards, operate from locations around the world and hide behind Internet anonymity. They likewise target domain owners wherever they are located and can do this with very little effort or capital required. They are working 24 hours a day, to acquire domains from their owners as cheaply as possible. Their methods are intended to result in acquiring domains either by a legitimate purchase (perhaps under some sort of duress or falsehood) or to just scam the owner in any way possible. Some of these individuals, organizations and methods are quite sophisticated. Threats, technological hacks such as spoofing of domain owners’ identities and other methods are all employed to steal a domain. The most common starting point for both legitimate and scam acquisitions of domains, begin with email solicitations. Most of these are just automated messages of some attempt to get at the domain. It might be a low-ball offer from China or India; an “opportunity” to share in a fabulous opportunity of wealth in Africa; or a poor [insert sob story here] college student… single mom… widow… orphan… that just wants you to help them out. If the domain owner has already gotten a few of these, they have a working knowledge of how organized and orchestrated such efforts are, and are going to be suspicious of pretty much every domain inquiry they receive. So for best results, start off as a professional would. Don’t assume that you have some sort of negotiating advantage by being anonymous. The contrary is actually much more true. In a professional environment, you share your contact information and your real name. And a step up in professionalism is paying attention to spelling and grammar. Internet anonymity is an instant red flag and for more experienced domain owners, so is poor grammar (most of the scammers from places like Nigeria, India and China send out solicitation emails with poor grammar). On the other hand, a domain owner being approached in a professional manner, at least gives you as the potential domain buyer, a foundation which can mean that you are someone to be taken seriously and worthy of the domain owner’s time and attention. It also means that the owner is much more likely to treat you decently and with respect. Long term mutual respect will lead to more closed deals. This is true for domains just as it is true in most negotiations. Before you make the approach, do your homework! That is part of being professional and the information that you work with is a tool for your success. This information is power, and it is what you base making good decisions upon. First, find out when the domain was registered by its current owner. Second, try to determine how many times the domain has changed owners. How long the domain has been owned will give you a very good indicator of how attached the owner is to it. If the domain is a recent acquisition and has changed hands several times previously, it may be that the domain owner is a domain flipper, looking to make a quick profit. Conversely, if the domain has only been owned by a single individual or organization for any extended period of time, the likelihood that they will sell it to you is very low. Most domains, and pretty much all domains of any quality, will get unsolicited offers to purchase them. So logically if you are approaching a domain owner that has owned a domain for an extended period of time and hasn’t sold it, you can assume that they have already turned down multiple offers. If the domain is a higher quality domain, you can also assume that there is a good likelihood that the domain owner is frustrated with the low-ball offers and scammers that have previously approached them and they may already suspect or even have written you off as a scammer. When it comes time to contact the domain owner, have your top dollar offer in mind. That is what the domain is worth to you. Your budget for this purchase should be based upon whatever value that you can potentially realize with the use of this particular domain. This includes how that value compares and contrasts to your other options. For the purposes of making a deal, the real question is, what the domain is worth to its owner. They are not going to sell it for less than that, no matter what you think – however, they may not have that firm value in mind until they do their own research. So you can potentially gain some advantage by being familiar with what domains are selling for. Do a search for “year to date domain sales.” Research what domains like your target have been selling for. The higher the quality of the domain, the more likely it is that the domain owner is also familiar with these types of domain sales figures. It is actually better for you if they are informed and familiar with what is going on in the marketplace. These are real world sales in the competitive market as opposed to some fantasy they may have. For example, one scenario is that an uninformed domain owner believes that their domain is worth “millions” because they have heard so many stories about domains selling for millions of dollars and they are convinced that their domain is worth that as well. The reality is that in most cases you are not going to come to a meeting of the minds with the current domain owner. So be prepared for that and just approach it with your best efforts. You have one value in mind, but they have something else in mind. If your approach is to nickel and dime and try to get some amazing bargain, don’t pursue premium domains. You are just wasting your time and the time of others. It would be like making low offers to random home owners in expensive neighborhoods that wouldn’t even cover a single mortgage payment. This is crazy and an annoying waste of time that will never produce any good results. Reality is that any real chance of moving forward in negotiations and hopefully getting the opportunity to close the sale, requires the professional approach. 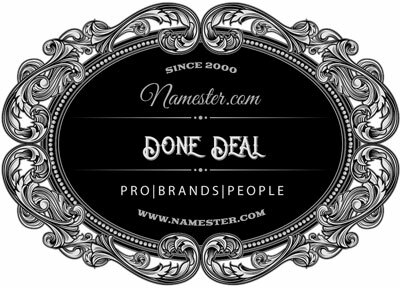 Experienced domainers will be immediately turned off if you come out of the gate with some ridiculous, low-ball offer and you may have just ruined any chance of a deal. If you are making a legitimate offer within your budget but your offer is still weak compared to the market, you are still putting your best effort forward and have increased your chance of actually making a deal. You may try providing some justification to go along with your offer. Don’t insult or otherwise try to talk down the quality of the domain, as this is pretty much certain to backfire. Instead, come up with a logical and objective reasoning for your offer to be considered. The more professional and courteous your approach, the more likely the domain owner will be open to what you are saying. It may just be that you cannot afford to play on the same field with the owner of the domain but you put forth your best efforts with what you could do. If they turn down your 75% offer without a counter offer, just move on. They are never going to accept your 100% offer or even your 200% offer. You are on different playing fields and at this point, they have all the power to make a deal or not and that will not magically change. You on the other hand, have other things to do and it is time to pursue one of your other options. We’ll integrate G Suite with your domain!